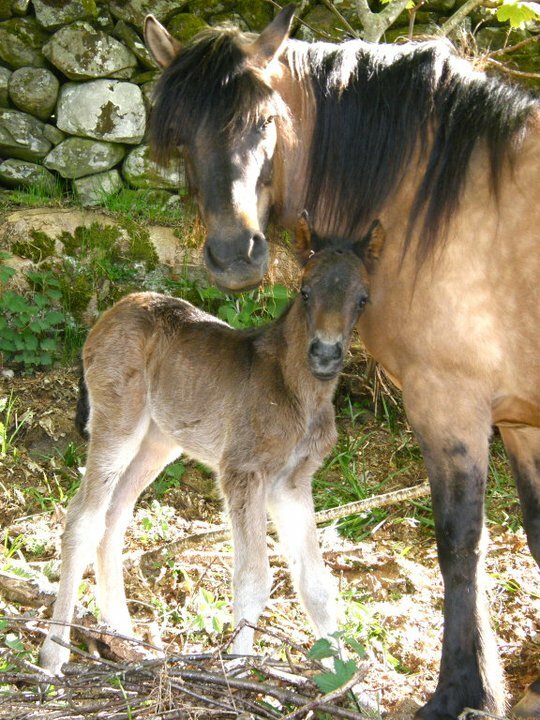 Hazel Brockie has sent this wonderful photo of Debbie’s new foal, born on 3rd May. Mother and son are doing well! Aaah how lovely to view such a beautiful foal with mum on a photograph from the SE corner of England! What a lovely photograph! Debbie certainly looks pleased with herself and her offspring! What name will you be giving to him/her? Congratulations to mother , son and…………………granny! Where have you hidden them Hazel ? We were looking for them in Leightons field over the weekend without success. Absolutely cracking photie ( and no mistake ). There’s something almost human about the way they are posed. What d’you reckon to the name ” Drummond “?